One week with the Amazon Echo Show and it has exceeded expectations. Not only does it handle all of the Alexa skills we already use, it adds visual components that offer entirely new user experiences. To be clear, very few Alexa skills take advantage of the screen at all and even fewer leverage it effectively. However, the few that do make a big difference and offer a glimpse of what we should expect in the near future. Media companies have a big advantage here. They can immediately leverage their existing video assets. Games are sure to follow. Microsoft and Google have both claimed that a calling solution will be available soon. Amazon introduced calling and messaging for voice in early May and video calling in late June as part of its Echo Show launch. It is another example of Amazon rolling out voice assistant features that others have only announced. Video calling was the big selling point in Amazon’s pre-launch promotions and it doesn’t disappoint. It is as easy to make a call on the Echo Show as it is to make a call on Amazon Echo. You simply say, “Alexa, call [NAME],” and she asks if you would like to call that person. Seconds later you have a crystal clear video call underway. You can see a small thumbnail of your projection and the rest of the screen is devoted to your caller. But wait, there’s more. You don’t require an Echo Show to video chat with an Echo Show owner. 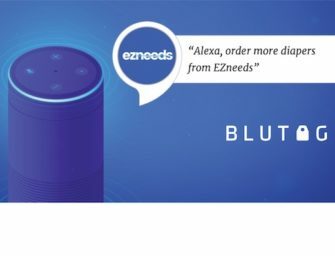 You can also connect to them with your Amazon Alexa mobile app. You need to know the name of the device you are calling, but it connects the same way you would device to device. This was an unexpected feature that makes the Echo Show that much more versatile. You don’t need to be in a place with an Echo Show to video chat with someone with another Echo Show. Your smartphone will do just fine. Microsoft was the first to discuss voice assistant enabled calls using Cortana. This is expected to launch as a Skype-like service with the Harman Kardon Invoke in the fall. But today, Cortana cannot make calls even for its 140 million monthly users through Cortana on desktop and Xbox. It later leaked that Google was working on voice calling between Google Home devices and it was announced as an upcoming feature at the Google I/O developer conference in April. There is still no Google calling feature available more than two months later. Amazon surprised everyone by launching its calling and messaging feature in early April and now it has raised the stakes with video calling. This is classic early mover advantage. Amazon has video calling whereas its US rivals don’t even have audio calling yet. Both companies will certainly add calling and likely video calling over the next year, but today, they are trailing. Amazon had a two year head start on its voice assistant so it is not surprising that the company is further along with advanced features. This works just like the video calling, but it is between devices and enables you to drop in and see what is going on. Can you call between these devices? Yes. However, the drop-in feature is quicker, much like an intercom. You can also use the intercom between Echo Show and other voice-only Echo devices. It’s a fast an easy way to reach someone on your trusted network within your home or even outside of it. A lot of people like Flash Briefings. They provide a quick way to hear the latest news while getting ready for you day. Most segments are 2-4 minutes and you can set up a series of different briefings to run in sequence. For example, you can have NPR followed by The Wall Street Journal and TechCrunch. The Echo Show kicks this up a notch. Several flash briefings now include video feeds. Media companies with television shows have been the first to jump on this opportunity. Bloomberg and CNBC both provide reporters talking into the camera and do cutaways to video clips and charts. Bloomberg showed me a taxi cab that had crashed into a terminal at Boston Logan Airport and CNBC displayed a stock chart. The Tonight Show promises to air Jimmy Fallon’s nightly monologue when the show returns from break later this month. There are only a handful of flash briefings using video today, but you can see immediate promise that others will want to replicate. Why turn on the television? This is over-the-top (OTT) television news. It looks like the future and should raise concerns among morning news shows. Everyone recognized that the cooking Alexa skills would really benefit from some video integration. How do you “fold” ingredients into a dish you are preparing? What is a rough, medium or fine chop for fresh herbs? Video really enhances this user experience as Food Network shows today. In fact, Food Network seems tailor-made for the Echo Show experience and may be a reason why these devices are most likely to reside in kitchens at first. The skill displays recipes and shows videos on cooking techniques such as what does differentiate a rough from a medium chop on fresh herbs. Visual display even without full motion video is also useful. Have you ever asked for a seven day weather forecast from an Echo? By the fourth day, you can’t remember what to expect tomorrow. Alexa’s native weather skill shows a helpful display of high and low temperature right on the screen as she reads off the information. That way you can listen or take a quick glance and see everything in context. This is still a hands free experience and can be eyes free as well. You simply have the option of the visual aid when helpful. It is easy to see why multi-modal voice applications that pair voice and audio with video and images will be just an important as voice-only experiences. The Echo Show also provides YouTube access with voice navigation. The interface could use a little work, but the solution enables you to ask Alexa for YouTube videos and it will provide top videos or attempt to present a specific video you request. It also provides a carousel with several videos to choose from that you can scroll by swiping the screen. YouTube integration is important for a few reasons. First, the service gets a lot of usage and now that content is immediately available to Echo Show users through a completely hands free experience. Second, it gives Echo Show an endless video library from day one. Third, YouTube is used heavily by Millennial and Gen Z and can broaden the appeal and perceived utility of the devices. Finally, YouTube is a Google property but Amazon has provided voice assistant device integration before Google itself. Check. Unsurprisingly, Amazon also provides integration to its own Amazon Prime video catalog. The Alexa skill for Grand Tour isn’t that interesting. However, being able to instantly pull up the first episode of Grand Tour on Echo Show was delightful. Sure, it is a 7-inch screen, but you are close to it, the image is sharp and it seems large after becoming accustomed to watching video on a smartphone. Between YouTube, Prime Video and a few skills with video included, Echo Show has a lot of visual pop already. Talk about a surprise. The Sparkle feature also reminds us who is building the Echo Show. You can say to an Echo Show, “Alexa, buy this,” while holding a product in front of the screen. After a few moments, you will see that product on the screen with a button that enables you to purchase the item or see more information. Two weeks ago, I marveled at how useful it was to have barcode scanner in the home compliments of the Amazon Dash Wand. The Echo Show sparkle feature can create a brand match without ever seeing the barcode. It simply recognizes the packaging of a household product or food. Amazon is a retailer. Alexa is important to Amazon in part because it enables consumers to more easily purchase goods. The Echo Show goes beyond Alexa and enables visual recognition of products for purchase and not just audible requests. I am not sure how often this will be used, but Sparkle is both surprising and delightful when waiving a package in front of Echo Show and being immediately able to order it. This is just one more convenience offered by the Echo line of products. While Google may get credit for introducing multi-modal voice assistant interaction by combing voice and text inputs and outputs through Google Assistant, Amazon is leading the pack in terms of video integration. I really like the hands free, eyes free experience offered by voice assistants, but have also seen the value in having multi-modal text features complement voice interaction using Google Assistant. Echo Show convinced me that visual integration, in the right circumstances, adds a lot of value and will become an important part of the voice assistant experience over time. Echo Show will benefit from having many more skills that take advantage of the screen. However, it already provides seven good reasons to believe it will be successful and is demonstrating how the future of voice assistants will play out. Of course, Mike Elgan already predicted this. The rest of us needed to see it to really understand. Now I do.